Suppose a condition when you have a single Internet connection but more than one laptops ready to use Internet. In this situation, only one person at a time can use Internet and other will have to wait. To use Internet on all computers simultaneously, you can share Internet connection of one computer with other laptops over wifi. I live with my friends when We have two laptops and one Internet connection. So We use Internet connection sharing to use Internet on both computers simultaneously. 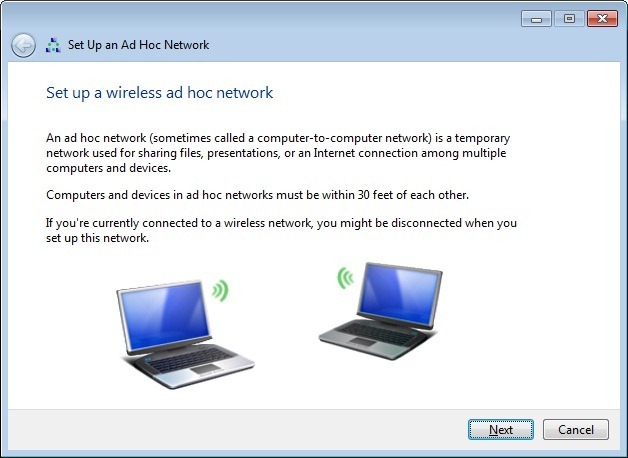 Now select the last option which says “Setup a wireless Ad-hoc (computer-to-computer) Network” and click on next. 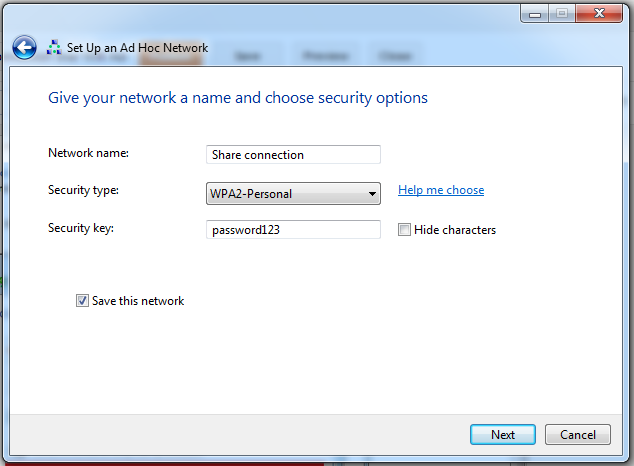 Now Give network a name and select strong security key (Password). Select “Save this network” for future use. After all this click on next to create a wireless network. After few seconds, your network will be ready to use and a dialog like this will be shown. 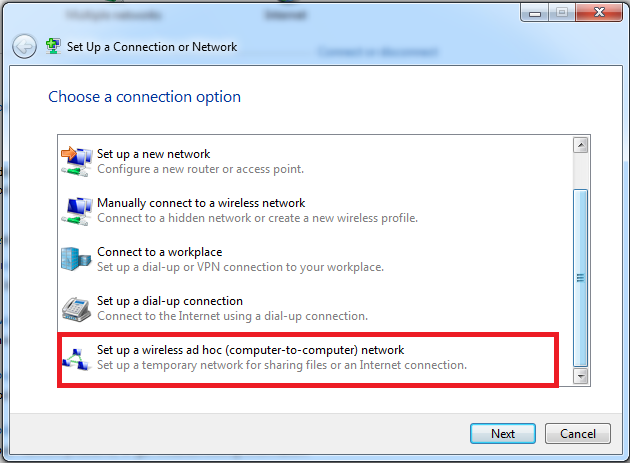 Here click on “Turn on Internet connection sharing” option to share your Internet connection over this wifi network. After all this, click on close to Finish the setup. Now all other computers that will connect to this newly created wifi network will be able to use Internet connection shared by you. 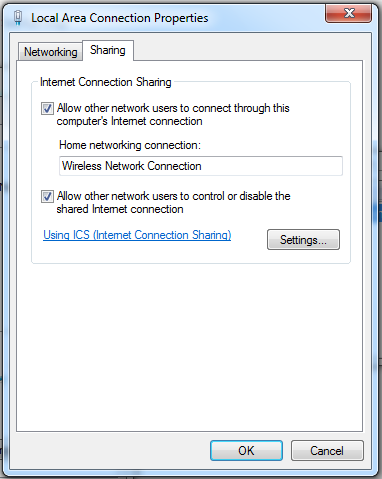 If its not working for you, you can manually turn Internet sharing on by going to properties of Network adapter on which you are running Internet. For this, Go to network and sharing center and see the connected adapters. Now click on it to open status. See the red squared area in snap. Now Click on “Properties” button to open properties window. In this, go to sharing tab and enable all check boxes. If you are facing any kind of problem while sharing Internet connection, you can ask via comments.